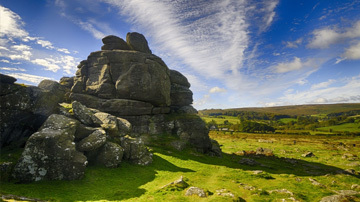 At the Dartmoor Preservation Association (DPA) we are committed to protecting and respecting peoples’ privacy. Whilst this Notice is primarily aimed at our members, it is also applicable to others with whom we interact. Please be assured that we will NEVER sell your details, or share them without obtaining your consent. And at any time you can change how you hear from us or unsubscribe from our mailing lists – just let us know. This Notice explains why we collect information from you, what information we need, how we use it and keep it safe and what your rights are. We hold your personal information in accordance with the provisions of the UK Data Protection Act 1988 and we will also comply with the EU General Data Protection Regulation 2016/679, which came into force in the UK in May 2018, replacing the Data Protection Act 1988. Our processing of your personal information is allowed by these laws because we have a legitimate need to carry out the processing for the purposes described below. 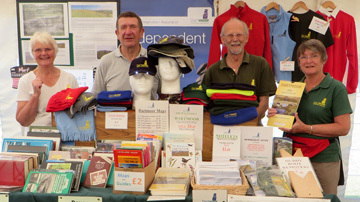 You may give us your personal information in order to sign up for membership; make a donation; register for Gift Aid; participate in an event; carry out volunteering work; apply for an award or a job; or purchase our merchandise. The personal information we collect might include your name, address, telephone number, email address, card or bank details. We collect this information only where there is a legitimate interest in holding it in connection with specific activities, such as membership records; processing donations or purchases; recording contact we have with you; internal record keeping; or sending you information about the activities described above. Provide you with information about our activities, campaigns, volunteer work and appeals. 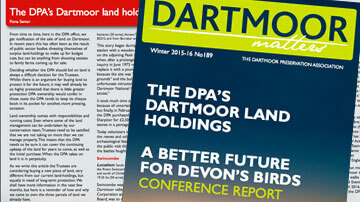 Over a year, members can expect three mailings of our Dartmoor Matters magazine, which may also contain information about the Annual General Meeting, forthcoming Walks & Events, our merchandise leaflet, and up to two appeal letters. Where our annual members have not arranged an automatic renewal of their membership, we may also send a membership renewal reminder letter. we are legally required to do so – for example by a law enforcement agency legitimately exercising its powers, or if compelled by an order of a court. it is necessary to protect or defend our rights, property or the personal safety of our staff, volunteers, members, or visitors to our premises or websites. this is necessary for the processing of awards under the Moor Boots scheme. The only third parties who may ever see your data would be those who provide us with mailing and financial processing services. We will only provide these organisations or individuals with the information they need to deliver the service. The companies we use have confirmed that they are fully compliant with current data protection legislation. If you have any questions regarding secure transactions, please contact us. The information which you submit to us is stored on a database in the UK, or in paper files. We do not transfer any data outside of the European Union. We will hold it only for as long as this is reasonably necessary. This is usually determined on the basis of legal and regulatory requirements. Once the information is no longer required, it will be destroyed. We do not use personal information for automated decision-making (i.e. making decisions solely by automated means without any human involvement) or for profiling purposes (the automated processing of personal data to evaluate things about an individual). We hold your personal information in accordance with the security provisions of the UK Data Protection Act 1988 and the EU General Data Protection Regulation 2016/679, which came into effect in the UK in May 2018 and replaces the Data Protection Act 1988. Unfortunately, the transmission of data across the internet is not completely secure and whilst we do our best to protect the security of your information, we cannot ensure or guarantee that loss, misuse or alteration of data will not occur whilst data is being transferred. 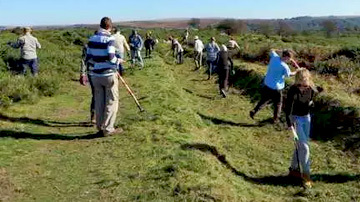 The Dartmoor Preservation Association (DPA) is committed to delivering a high standard of service to anyone who engages with our work. However there may be times when we fall short of these high standards and when this happens we would like to know, so we can put things right and make necessary improvements. What do if you have a complaint? However, if you feel your complaint is still unresolved then please write to the Chairman of Trustees of the DPA at the above address. Your complaint will be reviewed and a response sent in writing within 14 working days. If your complaint concerns a data protection issue, your rights and the DPA’s obligations are set out in our Privacy Statement, above. This includes details of how to exercise your rights and of how to make a complaint.